Whether you're ascending peaks or bombing runs, the Chamonix Voza appeals to riders who are looking to expand their talents and reach new heights. This true twin shape makes for an easy riding deck that gives the rider a comfortable and stable platform underfoot, while the reverse camber profile makes for a turn friendly and catch-free feel on edge. 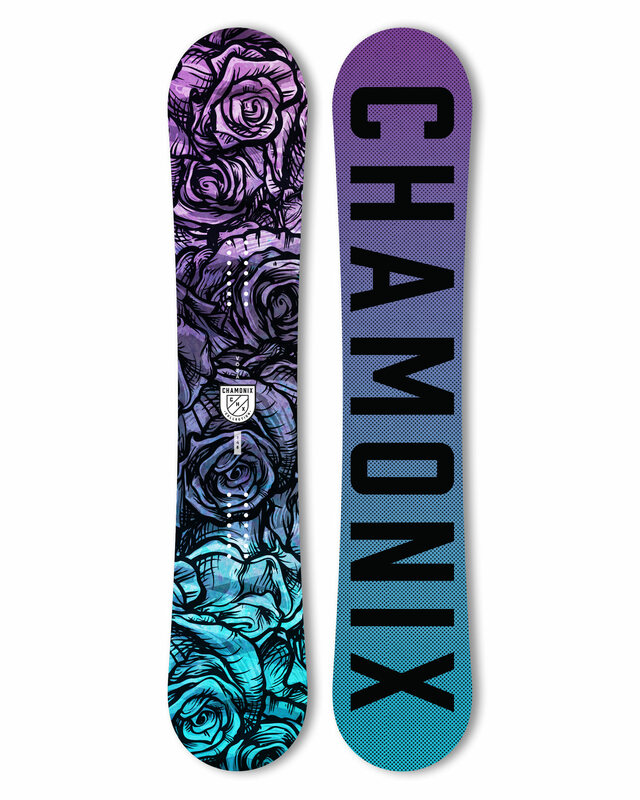 The Voza from Chamonix allows you to ascend to higher grounds and then send it right back down. This board has been great so far! 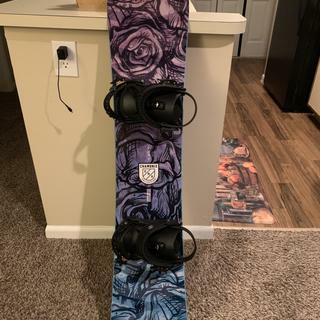 I’m a newbie when it comes to snowboarding, but with this board I was able to ride comfortably, whether it be toe, heel, or just cruising. Plus, the design of this board is vibrant and beautiful! I received lots of compliments on the mountain. I can’t speak on behalf of intermediate level & up boards, but for a beginner, this board is great! I would recommend it! Great board! A little too flexible for a beginner to learn on but overall a nice ride! I love this board! It's a great all mountain board. Stiff enough that it can hold a hold a carve and it's pretty stable on larger jumps. But it works good in the park too. It also handles pow better than I can lol. Because it looks awesome and I don't know any better. BEST ANSWER: The boards are factory waxed, but it is recommended to get it waxed shortly after purchased! Though of course you can have a great time riding it right out of the box! Yes it comes factory waxed, but I’ve always been a fan of waxing my new boards anyway. 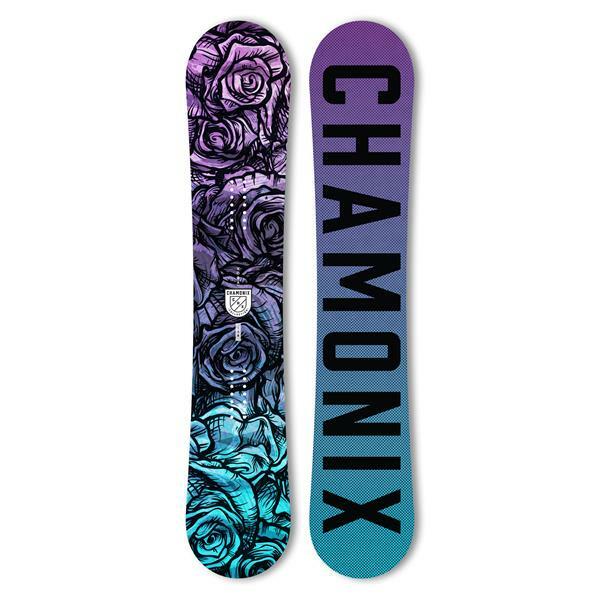 Is this a good beginner board? BEST ANSWER: Yes! It has a rocker profile and a twin shape that will make it great for those looking to learn and progress. 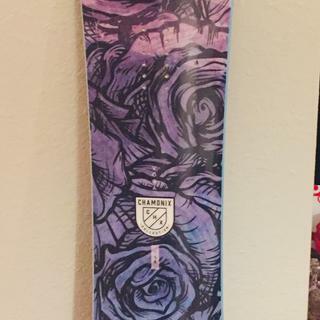 Is this an okay board for a more advanced rider? BEST ANSWER: My 16-year-old daughter is riding this board and seems to like it. She is still an intermediate/beginner, but seems to like it a lot. It has some decent flex in it, so I think it would ride just fine for a more advanced rider. Good all mountain board for any level rider. Will you get more 140cm boards? BEST ANSWER: At this point in the season we are out of stock of 140's. Would minidisc be compatible with this board? Is a 6/10 flex too stiff for an intermediate rider? BEST ANSWER: It is on the stiffer side, but the combination of the flex rating with the flat profile is going to give you both stability at higher speeds and the ability to initiate turns with ease! An intermediate rider can totally have fun on this board!